VIP Driving School has trained thousands of learner drivers who have gone on to successfully pass their VicRoads drive test. We take great pride in our success in training new drivers and are proud of the considerable positive feedback we receive through social media. 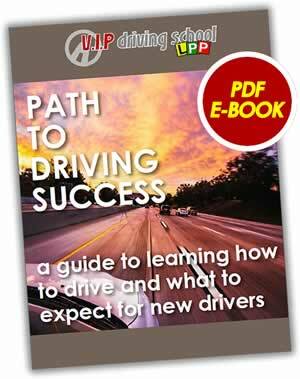 We have consulted with our extensive team of professional driving instructors to compile this essential E-book designed for anyone wanting to start learning how to drive. The E-book is $10.00 (+ 2.2% PayPal fee) and can be purchased through our website by clicking on the button below. Once you have made your purchase, the system will automatically email it to you with your order confirmation email.